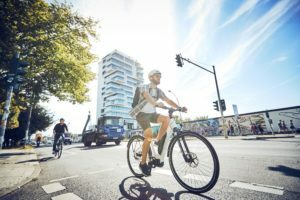 EINDHOVEN, the Netherlands – A YouGov study, commissioned by Shimano, indicates that a quarter of all Europeans are now willing to commute to work by e-bike. This independent research of over 12,000 people across 10 countries reveals that fact. What especially stands out in the research results is that in Spain and Italy – countries that still have relatively low e-bike sales – many people are willing to switch to e-bikes for their daily commute. Successivo Articolo successivo: Villa Liz di Varese ottiene il ”Guest Review Award 2018” e passa al punteggio di 9,7.